Scrolling through Pinterest and browsing through decor magazines you'll find fabrics set the style for your room's decor. 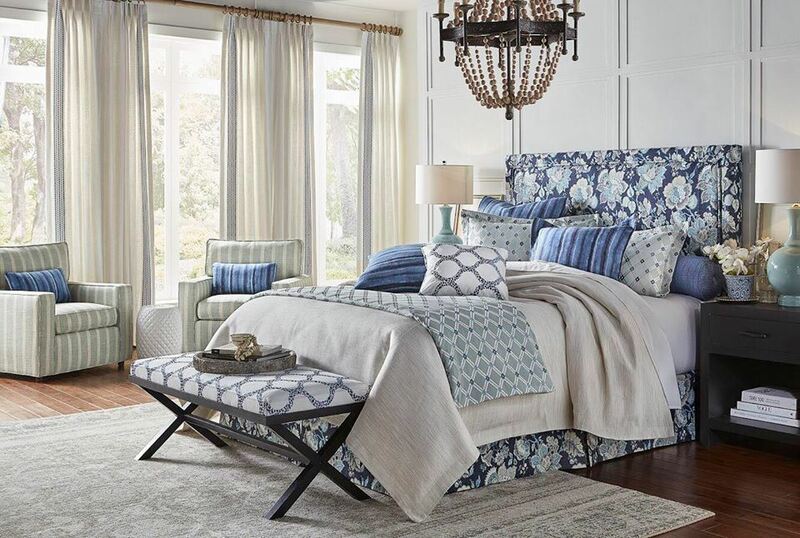 From simple, practical applications to elegant scene-stealing design our fabrics, trims and hardware collections are just the beginning steps to creating beautiful draperies, valances, and custom roman shades. Do you have a special piece, a treasured heirloom, or piece of art that you want to build the design around? Our decorators are experts in the art of fabrics, locating the perfect fabric patterns and adding in the smallest of details for a truly custom experience. Get inspired! We feature all of our designer-quality fabric selections in our showroom and offer free sample check-out, estimates and professional installation.